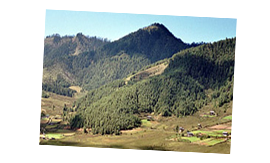 You will be greeted by one of our representative, transferred to hotel in Phuentsholing. Later process for Tourist Entry Permit at immigration. Then Later proceed for local sightseeing in Phuentsholing, visit Zangto Pelri Lhakhang, Karbandi Monastery, or as locals call it, Karbandi Goemba, is located at a height of 400 metres. After breakfast you will continue the journey from Phuntsholing to Thimphu(166 kms, 5 hrs) and check in hotel.Later you can rove around town and visit memorial chorten( built to honour third king) which is at walkable distance from town. Night stay at Hotel. Following breakfast,we will be doing some sightseeing around Thimphu town. 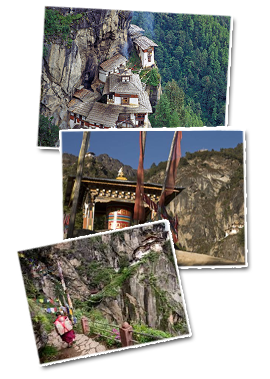 Then We will be going to visit few important places of Thimphu. MotithangTakin Preserve is the first place we will go to. After you can visit Craft Bazaar where they showcase the authentic Bhutanese arts and crafts items made in various parts of the country. Followed by, you will visit Royal Textile Museum where you can study about substantial collection of antique textile artefacts, exclusive made in Bhutan which is at walkable distance from craft bazaar. Nearing the evening we will ride to Buddha statue sited at Kuensel Phodrang, it is one of the largest Buddha stupa in the world. Before we close our sightseeing we will rove around the town and interact with the people. Night stay at Thimphu. On your way to Punakha, stop at Dochula Pass 30mins(16km) from Thimphu.Proceed to Chimmi Lhakhang 1 hr 55 mins(65.4km), a temple dedicated to the Devine Madman and a sacred place where people pray for children. Next embrace the highlight - Punakha Dzong 13mins (7.2km) from Chimmi Lhakhang, a very beautiful Bhutanese architecture armed by the Pho Chu and Mo Chu rivers, with rich Buddhist collections. You will also visit Suspension Bridge nearby (the longest bridge in Bhutan). Night halt at Punakha. Following breakfast drive to Paro from Punakha (128kms - 4hrs). Along the way w will visit Tachog Lhakhang Dzong is located on the way to Paro valley, and one must actually cross one of Drupthob Thangtong Gyalpo bridges to get to the Dzong. Drupthob Thangtong Gyalpo was the man who built the iron chain bridges in Bhutan in the late 1300s. Upon reaching Paro check in hotel and rest. Then visit Dungtse Lhakhang.To the west of the road is Dungtse Lhakhang, a chorten-like temple. This unusual building was built in 1433 by the iron bridge builder Thangtong Gyalpo. It has three floors representing hell, earth and heaven and the paintings inside are said to be some of the best in Bhutan. After that move towards Ugyen Pelri Palace at south side of the river just west of the Dzong. Later rove around Paro town and interact with locals. National Museum : housed in the Ta Dzong (watchtower). Here an intriguing collection of artifacts provide a wonderful introduction to the rich culture and heritage of the Kingdom. Paro Dzong : a fine example of Bhutanese historic architecture. From the Dzong, walk further down to Nyamai Zampa, a traditional cantilever bridge. Kyichu Lhakhang : It was built sometimes in mid 7th century by the Tibetan king Songtsen Gampo. 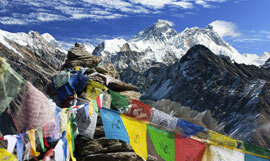 It is believed to be one of the 108 temples built to subdue a demoness residing in the Himalayas. It is one of the oldest temples in Bhutan. Drukgyel dzong : Drukgyel Dzong was one of the four principal Dra Dzongs (defense fortress). Accounts differ on the founder of Drukgyal Dzong. It is said to have been caused by the fire when a butter lamp fell in the central tower. Only the ruins of giant walls, charred gigantic wooden posts, beams and watch towers can be seen of what was once an important fortress that repelled several invasions from the north. After early breakfast drive from Paro to Phuntsholing and then drop till Hasimara Railway Station . Good bye and have a safe journey.